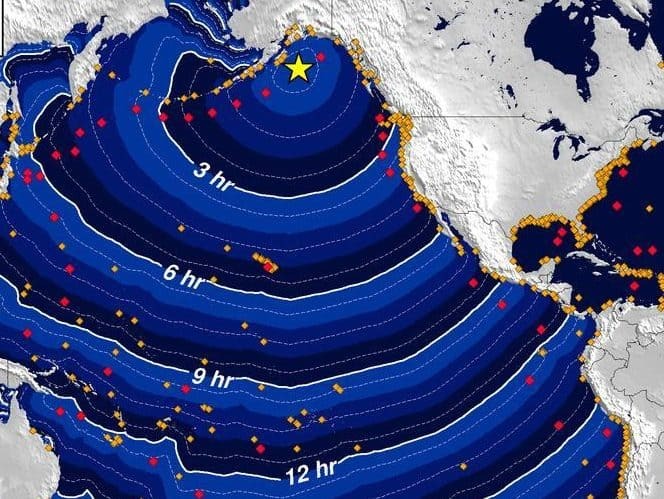 Breaking: a magnitude 8.2 earthquake 281km (175 miles) southeast of Kodiak, Alaska has caused a tsunami warning for parts of the North American coast and Hawaii with 10 metre waves already reported. 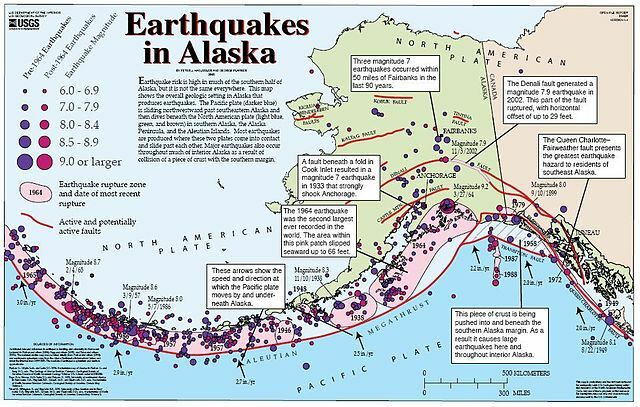 A Tsunami could hit between the Western Strait of Juan de Fuca to the Western Aleutians. Tsunami watches are in effect for coastal areas of Canada, Alaska, Hawaii and even Washington and Oregon too. People in coastal areas of Alaska and British Columbia being asked to go to higher ground or inland. The first waves could arrive within the next three hours. Warnings indicate that widespread dangerous coastal flooding accompanied by powerful currents are possible and may continue for several hours after the initial wave arrival. The quake is reported to be one of the biggest in US history and was recorded at a depth of 10km (6.2 miles) at 00.31am on Tuesday local time.